The main area of research in this unit is the design and the analysis of efficient algorithms and data structures, especially for geomtric problems. 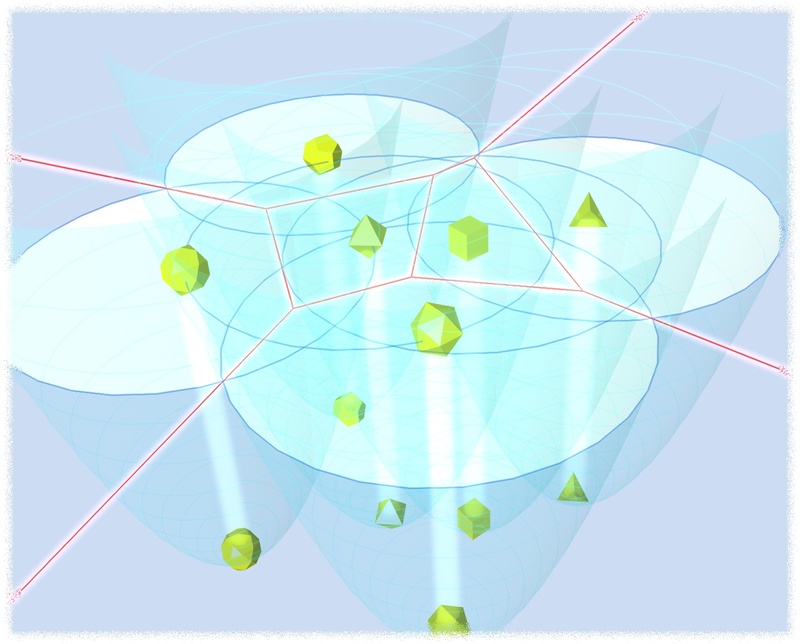 Typical examples are computational problems involving higher-dimensional polyhedra, localizing query points amidst a very large number of geometric objects, and approximative geometric query answering. As ancillary subjects we also study combinatorial geometry and randomization. Currently the following more specific topics are being investigated: the efficient encoding of complicated geometric data structures such as triangulations, complexes, or arrangements; computations with complicated geometric objects such as ellipsoids; geometric algorithms in the ``transdichotomous model'', i.e. the exploitation of the limited parallelism provided by the usual computer word operations. Lecture "Algorithms and Data Structures 1819"
Journal of Algorithms, pp. 189-217. Comput. Geom. Theory and Appl., pp. 265-302. Proc. 9th Canad. Conf. Comput. Geom., pp. 39-43. Comput. Geom. Theory and Appl., pp. 51-64. Computational Geometry on the World Wide Web by Guilherme Albuquerque Pinto.